Puregoldstick: 1967 Summer of Love and All That Color! 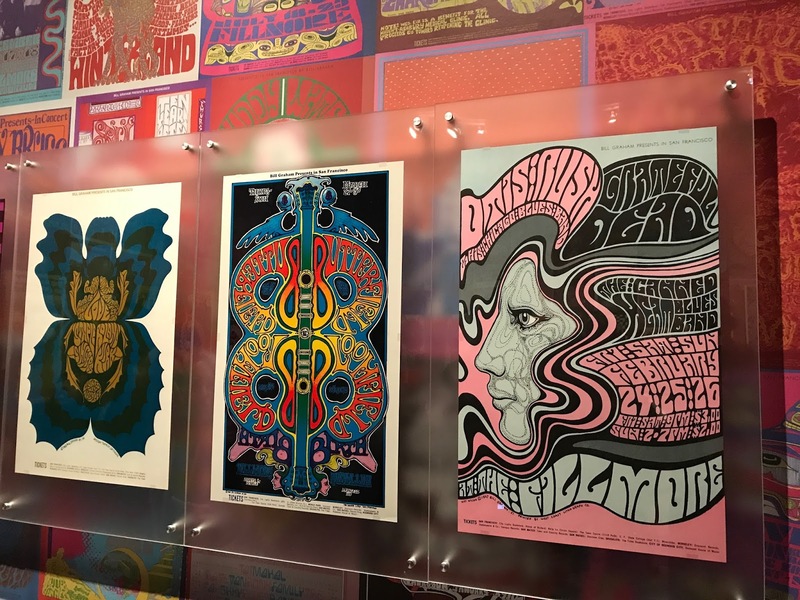 1967 Summer of Love and All That Color! The latest exhibit at the DeYoung Museum in San Francisco* held a bit of irony for me. Growing up in Detroit, the summer of 1967 marked the devastating racial riots that left deep scars on the city. 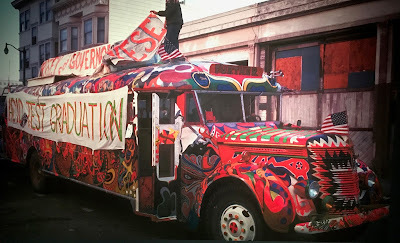 But across the country a revolutionary counter culture was brewing that inevitably gave birth to a unique and iconic art scene. 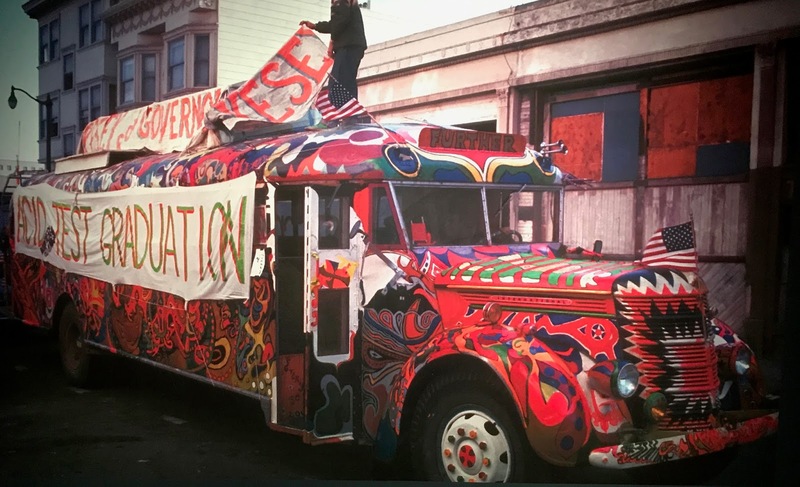 For the most part, the San Francisco 1967 summer experience was all about the acid trip. It was LSD that toyed with the mind's interpretation of color and gave us a whole new array of intense exaggerated hues, aptly described as "psychedelic". Do we ever see a trace of these colors in today's fashions and styles? I see bits of chartreuse green and electric blue in athletic wear, particularly shoes. Then of course there's all that magenta pink in T-Mobile ads and the hot pink ribbons of the Breast Cancer Foundation. Tekkie accessories tend to get a little bright and the true attention getter is the tangerine traffic cone. 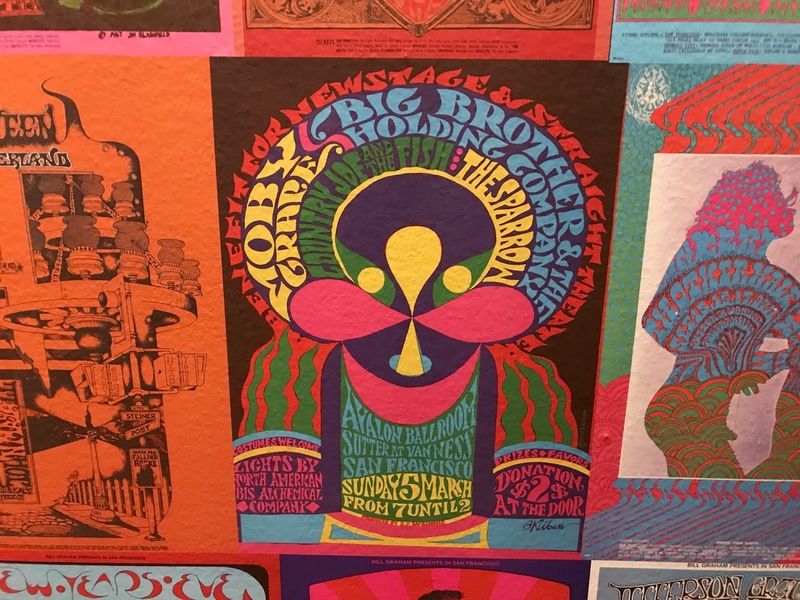 It seems the brilliant colors of the 60's have a fairly modest influence on modern culture. 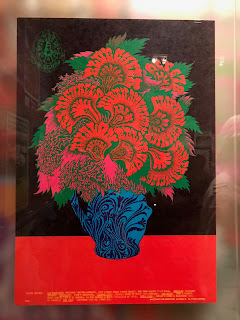 Unlike today's digital printing, the lithograph, the art medium of the day, was a complicated process and there was a lot of experimenting with the behavior of inks. Movement or the illusion of motion was a sought after effect. Typefaces were stretched and shrunken into bubble like spaces and overlapping inks literally caused images to jump and tweak. Select ink color combinations responded like movie frames to exterior lights, while ink splayed acetate was projected onto walls in a rhythm of swirling colors. Every effect was a means of enhancing and capturing the LSD trip, all the while exposing and educating the inexperienced to the hallucinogens of the day. 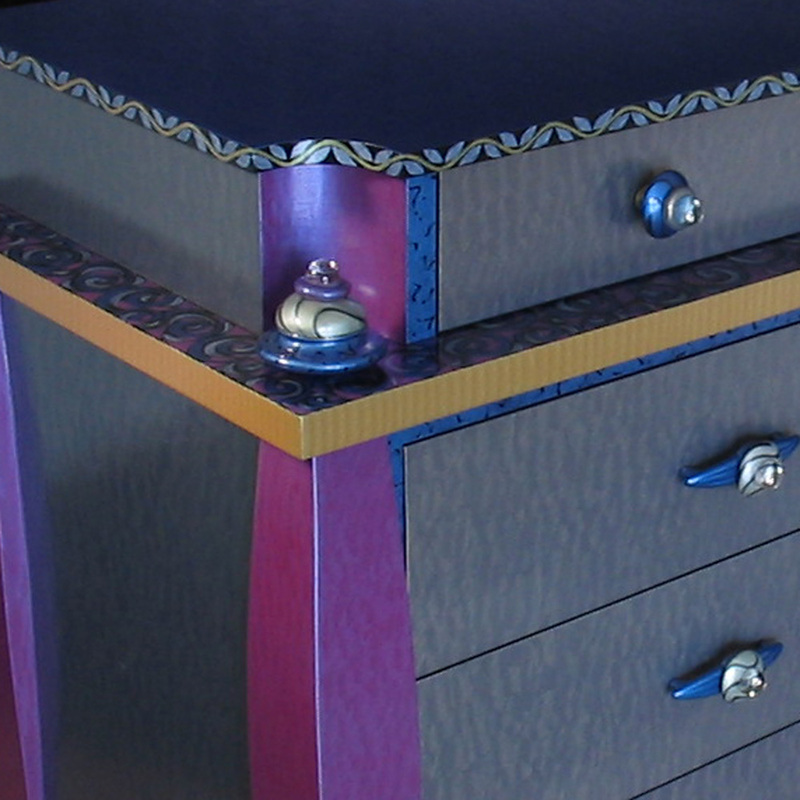 Inviting these brilliant colors into today's living environment can be a challenge. Other than fringe on a throw pillow and outdoor tableware, these psychedelic colors are fairly scarce in home decor. 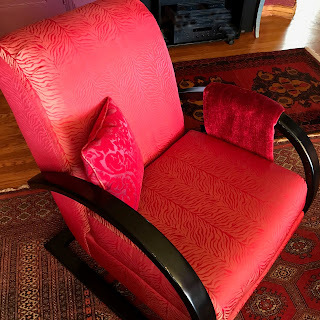 I took a bold step when I reupholstered a chair with a vibrant animal print for our living room. It has the presence of a glowing fireplace when the sun hits it and is an exciting addition the room's ambience. I have some brilliant pigments that I've been hesitant to use in our paint palettes. 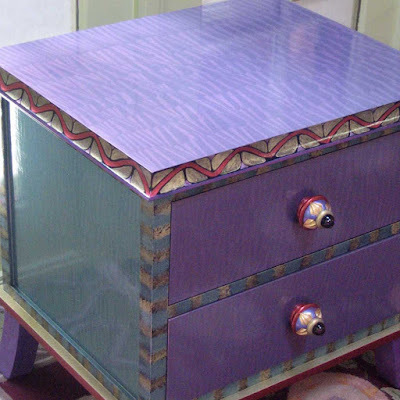 Our periwinkle purple is probably our most vivid hue. However it does settle down as it cures and actually becomes more subdued over time. Today's Boho fashion mingles pattern, and colors in all shapes and forms, but misses the motion ingredient of 60's poster art. Paint treatments that dance with the changing light is our specialty that we apply to all our furniture finishes. So I can definitely appreciate the color motion notion of the era. Maybe I'll do some experimenting with my untouched cache of bright jewel tones as a tribute to the fossil colors of the 60s. I just have to figure out where to start? An eye popping citrine green cabinet knob could be the perfect addition to an ultra modern decor. A new trend awaits! 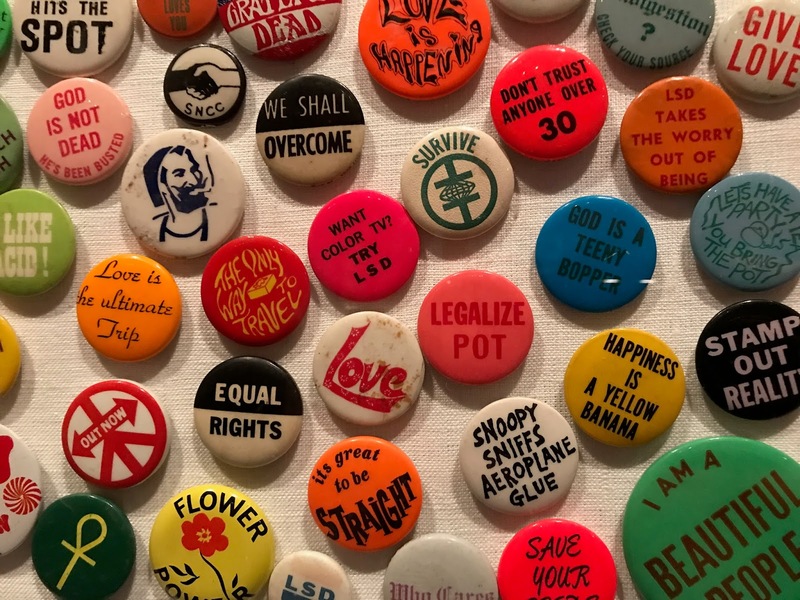 *The Summer of Love exhibit ends August 20th and I highly recommend a visit. Celebrating 25 Years - What a Journey!